Ninety youths and chaperones will be traveling around the world to Sydney, Australia, from July 9-22 to participate in World Youth Day 2008. 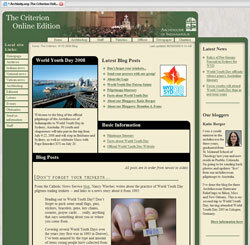 Readers can follow their trip on our Web site. 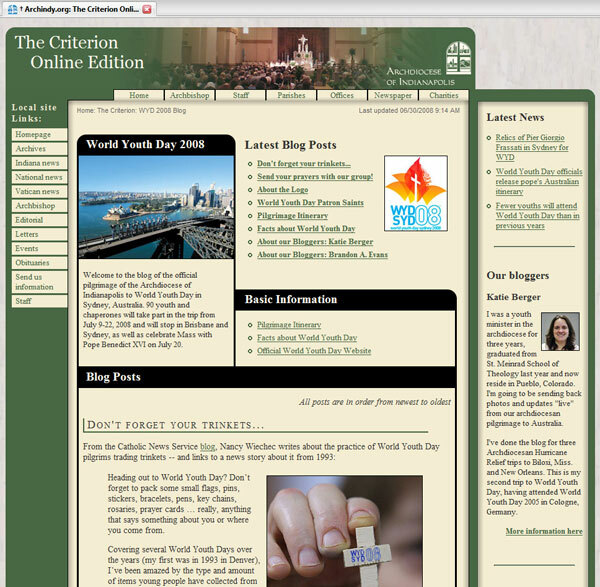 We have set up a special address and blog for the pilgrimage at www.archindy.org/wyd. Veteran freelance writer Katie Berger, a former youth minister and campus minister, will send updates, photos and thoughts from youths throughout their pilgrimage.